The student-faculty ratio, on a steady rise since 1996, has far reaching implications on the quality of students’ academic and postgraduate lives. A higher student-faculty ratio causes issues in many advanced classes, where individual feedback from professors may be helpful, or even essential, to success. Speaking with a faculty member, especially if it is outside of class, can be incredibly motivating. The increasing student-faculty ratio discourages this kind of interaction, which has been an integral part of several students’ Tech experiences. A smaller class size strongly bolsters a sense of community in a classroom, which makes group work and, specifically, presentations, far more meaningful and helpful in the long run. Addressing the issues with the student-faculty cannot, in any way, water down the rigor of our classes. Students at Tech are expected to monitor their own academic performances and are ultimately responsible for their own success, or, as the case may be, failure. 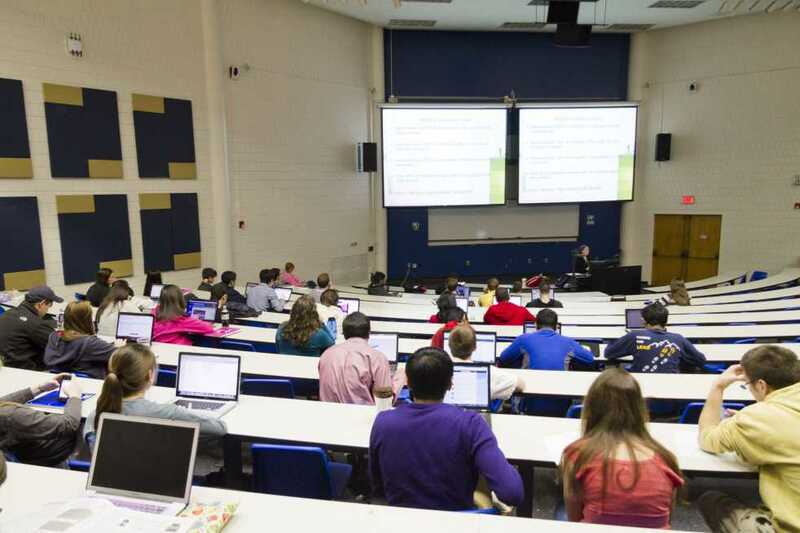 The difficulty of Tech classes partly stems from large class sizes, but developing a strong work ethic in these classes makes Tech grads competitive in their fields; smaller class sizes are not meant to spoon feed the students. This can be accomplished by careful allocation of resources and consideration of standout problems. Certain majors have a far more extreme ratio than others. Moreover, while a large student-faculty ratio may be an issue in one major’s classes, it may not be so problematic with another major. While considering these issues, Tech must break away from the traditional model of hiring only long-term faculty. Instead, opening up more to options such as visiting lecturers and non-tenured professors that can soften cost issues while ameliorating the student-faculty ratio.